There is no text accompanying the revised drawings, so I can’t comment on why Shropshire Housing Group (SHG) has changed the plans. Temporary tree protection orders protect the remaining trees. SHG can apply to have these lifted at any point. There is no legal protection on the green space. 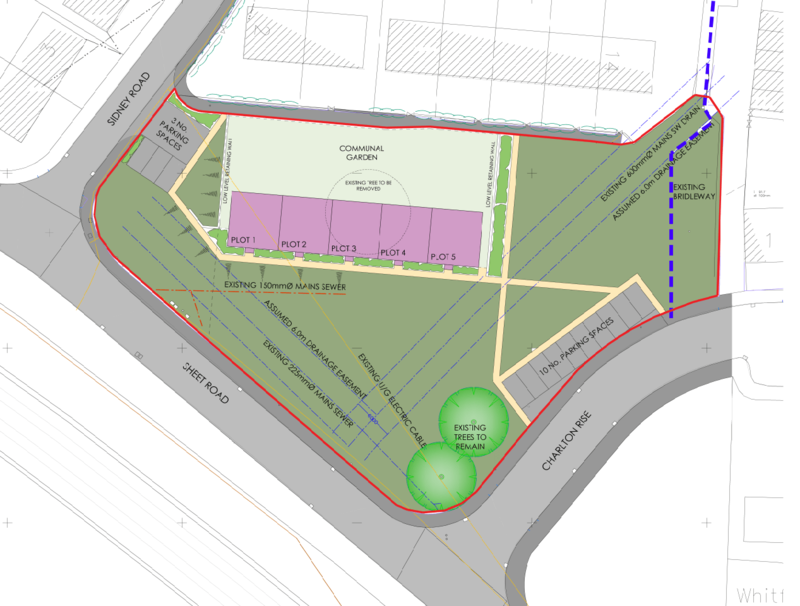 Town Green status cannot be applied for after a planning application has been submitted. 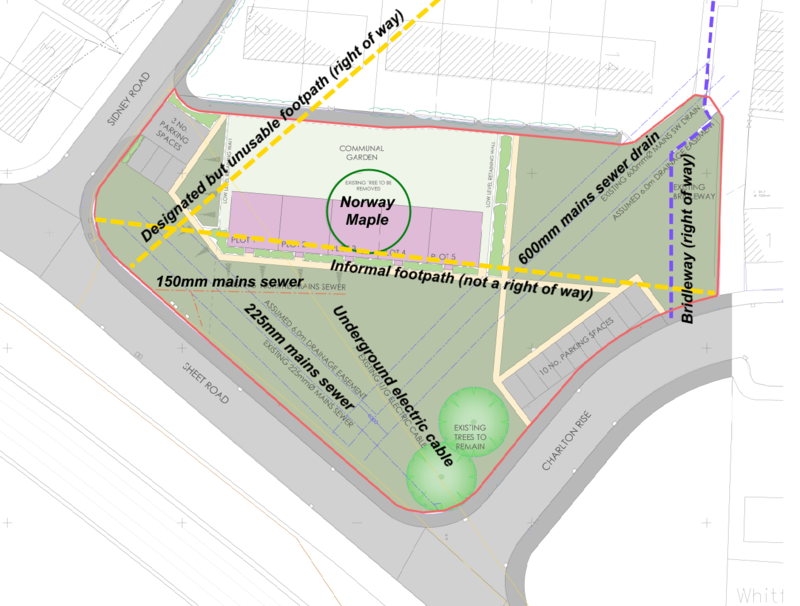 The diagonal footpath that many of us use to cross the site is not a designated right of way. I don’t know if any application has been made under the under the Wildlife and Countryside Act 1981 to designate the footpath. There is a designated footpath through the site. This passes through the existing bungalows. It should have been diverted when the Sidney Road estate was built around 50 years ago. There is no sense in this footpath being retained as it cannot be used. Comments on the revised should be submitted by 23 June 2017 (17/01387/FUL). See my guide to commenting on planning applications. There were four objections submitted to the previous plans, three from residents and one from Ludlow Town Council. Councillor Tracey Huffer has asked for the application to be decided by the South Planning Committee. As a member of the planning committee, I intend not to comment on this application until it reaches committee. The original tree was felled supposedly to cut down on maintenance costs so why now do they want to plant six new ones but still fell the existing maple?. Manipulation of the planning system maybe? and to pacify the residents, beware the Trojan horse bearing gifts.